I was not that far from Hartlebury Common this lunchtime so I took the opportunity to drop in and have a go at sweeping the heather in search of Coleophorid larvae. I did not have long so I had a go at two areas, one up on the ridge and the other down low on the slope down to Sandy Lane. The technique with these is apparently to put all the debris that ends up in the net into a box and wait for the larvae to climb up the sides and reveal themselves. My collection of sweepings from the ridge produced two cases each of Coleophora juncicolella and Coleophora pyrrhulipennella - neither of which I have seen before - so, I felt, an hour well spent. 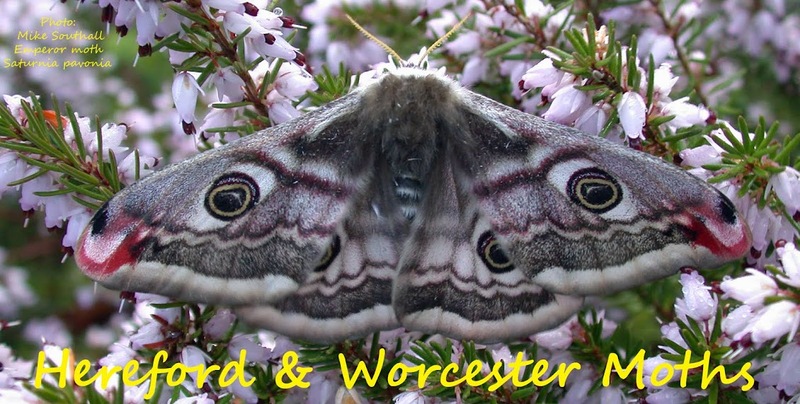 Three adult moths were seen flying around while bashing the heather. 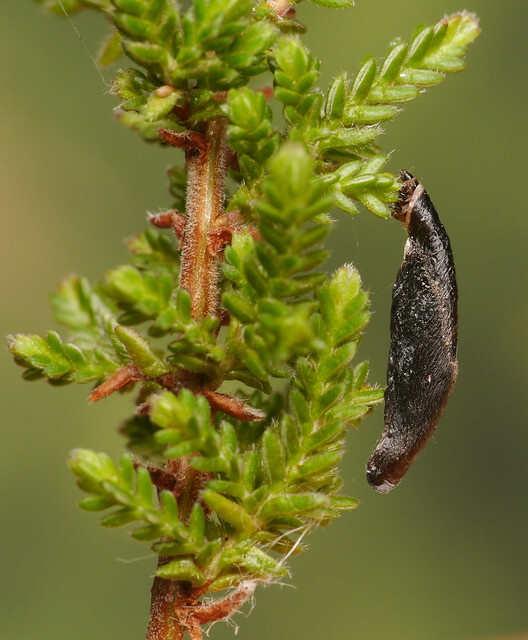 Common Heath, Esperia sulphurella and Cydia succedana. As a Post Script to this, I inspected my box of sweepings again this morning and I was surprised to find another 10 juncicolella larvae had evaded the spiders and emerged from the debris. I had been through it yesterday under a microscope and didn't find any! So if you are trying this, let the sweepings sit overnight because these larvae can sit around immobile for quite a while. Very productive! I tried that technique a few times for C. juncicolella but the only things I saw moving were beetles and spiders - that's usually the way it goes with my larval hunts. I think I had a half hearted try at Devil's Spit. last year or the year before, but I now wonder if I was not patient enough and threw out my sweepings before giving the larvae long enough to show themselves. Of course, that only accounts for junciolella, the other one stands out like a sore thumb when sifting through the debris. 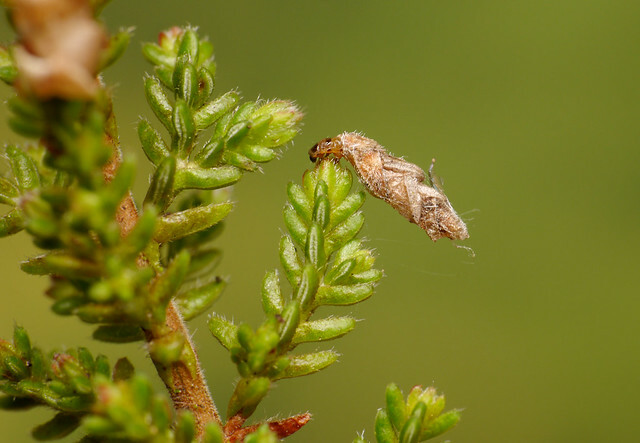 Many thanks for this post, I have just returned from an hour, sweeping the heather, at Hartlebury, recording eight C, pyrrhulipennella and I am currently waiting for all the C. juncicolella to 'materialise' from the debris (just one seen so far but I'm sure there will be more). As you say, I suspect I should have given more time for juncicolella to show themselves previously.